BY imponderable forces I refer to all those energies recognized by occult science which as yet have not been investigated by the leading authorities of material science. The objects of our environment, for instance, radiate an energy which has an influence upon our lives. The thoughts of living people impinge upon our consciousness. Under certain circumstances those who have passed to the next life can contact us. Aside from their thoughts, the actions of people have a suggestive force. The press commonly shades the news it reports in such a manner as to enlist our sympathies with its views. Religious and other rituals come to our attention. Astrological energies stimulate our thoughts and actions. And there is the whole subject of ceremonial magic. All these influences, which though imponderable, may nevertheless exert an influence upon human life, are embraced by our subject. Some people would say a belief that any of the things mentioned has an influence in our lives is pure superstition. Yet my object in here discussing them is, in as far as possible, to banish superstition. Now it is true that so long as an effect is observed to be produced by an unknown force, and so long as something is shrouded in mystery, there is apt to be excessive reverence and fear. Therefore the best way to remove that excessive reverence and fear is not to deny the effect, which people actually see for themselves is produced, but to find out just how it is produced. If the energy actually is inimical to human welfare, or to the welfare of some individual, denying its existence will not prevent its operation. But whenever it is fully understood and is no longer wrapped in mystery, a means can be devised to render it harmless. Thus superstition is not banished by ignoring a situation. But by a full understanding of a situation it may be shown harmless and unworthy of fear; or if really inimical, a means can be devised to counteract it and make it no longer something which excites fear. So in this Course I shall delve into all sorts of peculiar corners of existence, and shall even explain the principles of such forbidden things as sorcery, necromancy, black magic, and witchcraft. Not to induce fear, but to banish all fear of them. When they are really understood, they perhaps cannot be denied, but, because understanding them makes them harmless, at least they will no longer be reverenced or feared. People are not superstitious because they believe in these things, but because they have an irrational dread of them. And even about things that do not specially excite horror, I find that numerous people are very superstitious; for they greatly exaggerate the influence certain things exert. The most powerful of all imponderable forces to influence our lives are our own thoughts. But because in other Courses I have discussed their use and influence in great detail, here I shall consider them only insofar as may be necessary to understand the operation of other energies. Next to our own thoughts in their ability to influence our lives, and therefore the first imponderable force here to be considered, I believe astrological influences are the most powerful. 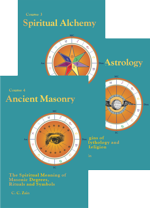 And although there are seven different Brotherhood of Light Courses devoted to these influences, I find the present Course would be incomplete without one lesson devoted to their discussion. Especially is this true because, although they have a very real power, they are the objects of so much superstition. The very first contact a person makes with astrology may be through a birthday reading. Now the zodiacal sign in which the Sun was located at birth usually impresses its quality upon the individual; but this is a single one of many positions which must be considered to give even a character reading. Without looking in an ephemeris for the year, the birthday denotes only the sign and degree of the zodiac the Sun was in at birth. And while the aspects made by the transiting planets to the place of the Sun, thus located, are not without some effect, they certainly are not of sufficient consequence to form the basis of a reading of what is going to happen to the individual during the year. As there are some 1,800,000,000  people in the world, a “horoscope” based merely upon the month of birth is equally applicable to about 150,000,000 persons. And a “horoscope” for the year based merely upon the day of the month of birth, such as the printed day by day readings issued in vast quantities, and the birthday information published in some of the daily papers, is equally applicable to some 5,000,000 other persons in the world. One certainly wants something more individualized and specific as a guide to his endeavors. In the ephemeris, and in other publications, all the aspects that occur between the planets for each day are listed. After these aspects are usually to be found symbols or words denoting whether the aspect, and therefore the day, is good or bad. Now I have known people so superstitious—using the word as indicating an exaggerated fear or reverence—that they will hardly stir out of the house on any day thus indicated to be unfortunate. Yet we must consider that all the 1,800,000,000 people in the world are subject to every aspect thus shown. Surely, all these people do not suffer misfortune on such days, as they go about their daily occupations. Exceptionally heavy afflictions thus shown, and exceptionally heavy benefic aspects, it is true, are reflected by world conditions. 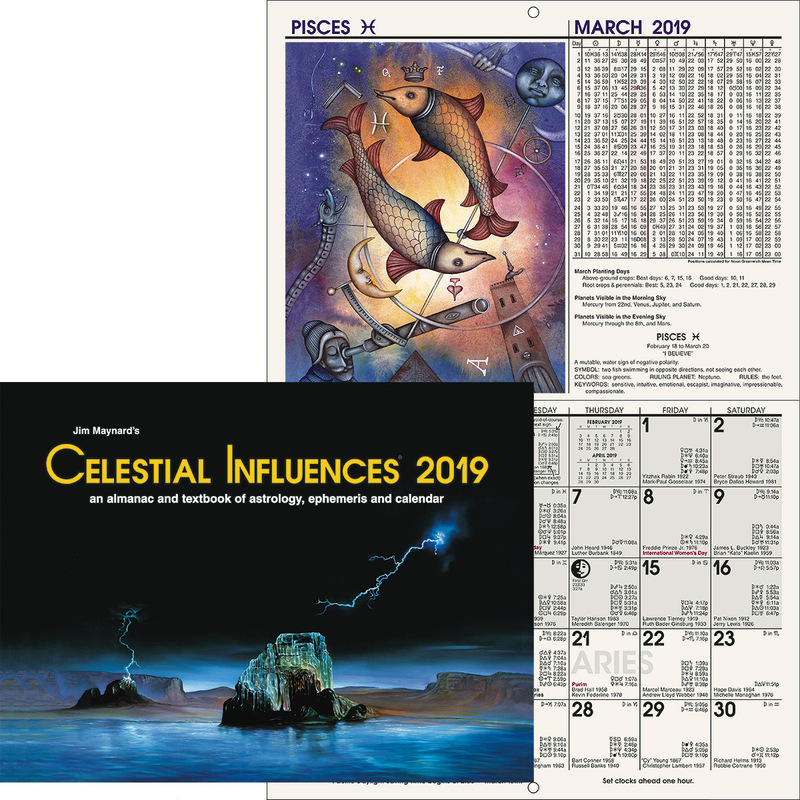 But even the affairs of nations, and the current events that are of importance enough to be given prominent headlines in the daily papers, require more specific information than can be gained from the aspects as shown in the ephemeris. That is, to make accurate predictions from day-to-day as to what events of importance will happen in a country or city, a horoscope erected for a specific hour and minute of a given day at a definite longitude and latitude is necessary. Except for some quite extraordinary aspects, such as occur at intervals of many years, any specific predictions as to what will happen at any given place on a given day requires either a cycle chart erected for the place, or the horoscope of the place; and it is better to have both. Because there is a severe affliction to Mars on a given day, as shown in the ephemeris, it is quite likely that if a census of the world could be taken that it would show more than the average number of accidents. But if you expect to verify predictions of this kind by newspaper headlines, you will be disappointed. We have tested out such influences very thoroughly in our research department. They are so general in character as to produce no results that are pronounced enough and reliable enough to warrant making predictions. And if the tendency to accident on such a day is so unreliable as to make predictions unwarranted, it seems to me that to permit such an aspect to deter one from going about one’s daily affairs is an exhibition of superstition. However, if you will erect a Mars Cycle chart for the place where you reside, you will find when Mars moves to a strong aspect to any planet in an angle in this chart that you can predict events of the nature of Mars as affecting the things indicated by the house of the chart occupied by the aspected planet, and that this prediction can later be verified. In our weekly evening Mundane astrology class we make predictions for each day of the week for a week in advance. And for a score of years such predictions have been fully verified. And if you will watch the reports in the daily papers on those days when Mars makes aspects to the planets as they appear in the Mars Cycle chart, you will perceive that every strong aspect that Mars thus makes is coincident with noticeable fires, accidents and violence. So if you were to guide your daily affairs by aspects so general in nature that they affect the world, the country, or even the city where you reside, as a whole, it would be much better to refer to the aspects in these Cycle charts, because these aspects are reliable enough in the effect they produce on groups of people that you may be sure some of the group is going to be influenced in a very definite way. I am not trying to disparage the use of the aspectarian in the ephemeris. Instead, I am pointing out that many people try to make it do something which is not its true function. They try to make the daily aspectarian do work that is the specific function of a personal chart. 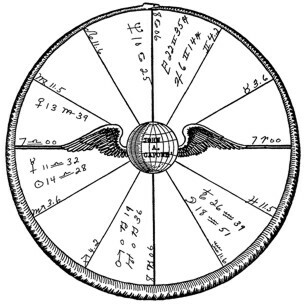 Now, on the other hand, when you commence some definite venture, or even take the initiative, such as going to a tradesman for a purchase, or set the time for an interview; because this is the birth of the thing at hand, so to speak, the aspects as shown in the ephemeris become important. You can prove this by erecting the charts for the commencement of a large series of ventures, and noting how their success or failure compares with the aspects ruling the ventures in these charts. In view of actual results that have followed starting ventures when the planets favored them, as contrasted with the failures shown when ventures were started under adverse aspects, you are fully warranted in choosing a time when the planetary positions favor it to start any venture of importance. Furthermore, if you will check up on your successes and failures in interviews, you will find that it is quite worthwhile to have the planets, as shown in the aspectarian, favoring you when you have such an appointment, and also, when possible, to have the interview fall in a planetary hour favorable to the issue as you desire it. If you are compelled to take issue with another, it is to your advantage to go to him while there is a good aspect applying to Mars. If you would make a sale, do not overlook the aspects to Jupiter. And if you would buy a bargain, see to it that Saturn has a strong and favorable aspect on that day. Even these aspects, however, are quite subordinate to the major and minor-progressed aspects in your birth chart. But they have value enough to warrant you taking the trouble to notice them. They give the best conditions that are obtainable under your heavier personal progressed aspects. But for all things that are already commenced, and in the conduct of the everyday affairs of life in which no new thing is started and no especial initiative is used, I believe paying much attention to the aspects as they appear in the daily aspectarian is a waste of time that should be devoted to things more specific to your own chart. That is, other than in such ways as I have signified, your attention should be given to the influences that come specifically to you, rather than such general and vague conditions as are shown in the ephemeris. And to have fear merely because the daily ephemeris shows heavy evil aspects is to exaggerate their importance far beyond what experience shows to be their real power. Your own observation will quickly convince you, if you watch the affairs of others, that some people have very good luck and other people have very bad luck, in practically every department of life during every day of the year. But you also probably have discovered that during certain periods all the “breaks” are in your favor, and that during other periods all the “breaks” are against you. And there are still other times when success comes almost without effort in one department of your life, yet in spite of all your efforts there is loss or failure at the same time in some other department. This is because you are a unique individual, the thought cells of whose finer body is acted upon by the rays from the planets in a way different than they act upon the thought cells of any other person in the world just at the same time. How the world is affected by planetary rays can be discerned only from a world chart. And how any particular individual is acted upon by planetary energies, as a distinct member of a larger group, can be determined only by comparing a map of his astral body with a map of subsequent planetary positions. That is, to determine how planetary energies will affect one individual differently than other individuals, we must possess his birth chart. To be specific, there are three distinct types of astrological influences operative in every person’s life, each of which is of more importance to him than the various aspects shown in the aspectarian of the current ephemeris. They are: 1. Major- progressed aspects. 2. Minor-progressed aspects. 3. Transit aspects. Each of these three as calculated specifically in relation to himself, which means, in relation to his own timed chart of birth. Of these three types of influence, I believe that commonly only the major-progressed aspects are of sufficient power to determine whether or not an individual is warranted in entering upon some important undertaking. Both minor-progressed aspects and transit aspects are sufficiently important to receive consideration; but the broad outlines of one’s endeavors, I believe, should always be determined by a thorough consideration of the birth chart in relation to the major-progressed aspects operating at a given time. 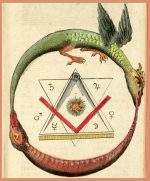 I consider that any individual can only live to his maximum when he has studied his birth chart sufficiently to know in what departments of life he may expect difficulties and in what departments he may expect favors; and then at all times keeps apprised of just what major-progressed aspects are delivering planetary energy to him. With this information at hand, and properly assimilated, he is in a position to weigh accurately the possibilities of every apparent opportunity or apparent obstacle that comes to him. But certainly this does not mean that because he is under adverse progressed aspects he should cease effort, have fear, or fail to take hold of ventures that promise success. If the aspects in the birth chart are harmonious, he may be able to make a success of a venture in spite of progressed afflictions. If a man is a good mountain climber, he may be able to reach the top of the mountain in spite of a snowstorm. The same snowstorm would probably make it impossible for a weaker climber to reach the top. If the weaker man knew he would be caught in a snowstorm, he no doubt would avoid disaster by not attempting the climb. Yet the stronger man might set out in spite of knowing he would encounter a snowstorm. But it certainly would be to his advantage, because it would enable him to prepare for it, to know that he would have to fight his way through the snow. Now I submit that neither the stronger nor the weaker man could prevent the snowstorm arriving on its destined day. Nor can we, no matter how strong, prevent the arrival of those astral discords shown by inharmonious progressed aspects. But in either case we can estimate our strength to overcome such a storm, and whether or not it is wiser to try to push through it, to await a more favorable time, or to abandon the venture entirely. Yet when I speak of strength, I speak not of physical courage and mental ability, but of the harmony and power of the thought cells of the astral body, as shown by the birth chart. Of this you may be sure, that as the heavier major-progressed aspects form in your chart, some of the things signified by the departments of life mapped by the houses occupied by the aspecting planets will be brought prominently into your life. Some of the things thus brought will be optional with you whether or not you will accept them. Concerning other things, such as the loss of acquaintances through death, you will have no option. Of the optional matters—such as whether or not you will go into some business, whether or not you will accept some position of importance, whether or not you will remove your home, marry, take a trip, form a friendship, or whatnot—your decision should be guided not merely by the progressed aspects operative, but by a careful consideration of these in relation to the harmony or discord shown governing the matter at hand in the birth chart, and in relation to past conditioning and present environment. 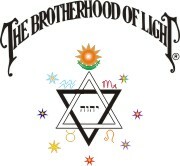 Just what can, and just what cannot, be done under any given set of progressed aspects is a subject of Brotherhood of Light Astrological Research, based upon what people have been able to do, and what people have failed to accomplish, under different charts and different progressed aspects. I believe from a careful analysis of the various progressed aspects operative at any particular time, and of the background and past conditioning and present environment, in comparison with the possibilities shown in the birth chart, it is possible to determine in advance whether an individual can, or cannot, make a success of a venture then entered into. Furthermore, such an analysis will indicate how great are the obstacles that must be overcome, and how severe the opposition. In regard to the important developments of life, we are perfectly warranted in being guided in our decisions as to acceptance or rejection, and in our various undertakings, chiefly by the birth chart as modified by major-progressed aspects. Minor-progressed aspects and transit aspects have quite discernible influence, and are of great importance as influencing the details within the larger trends which are indicated by the major-progressed aspects. Even in those things in which choice seems to be curtailed, it is as foolish to consider astrological influences in terms of compulsion as it is to think of the weather in terms of compulsion. It is true, of course, that there are things we can do successfully only when the weather is clear and fine. Yet most of us find other things that are well worth doing even when the weather is most inclement. If you wish to photograph landscape, a rainstorm may make this impossible. But if you knew this rainstorm was approaching, and just when it would arrive, you would not try to take out-of-door pictures at that time. Instead, you would have arranged your affairs so that you could take pictures indoors by artificial light, or you would turn your attention during the stormy weather to something other than picture taking. Of course, if instead of a severe storm, you had discerned that the day would only be somewhat cloudy, you might have prepared to take the pictures anyway. You could have given a longer exposure, and otherwise taken additional pains. So also if the progressed aspect storm was comparatively mild you might have put forth the effort to overcome whatever obstacles it held. But if the storm was severe enough, in spite of all your pains and efforts, it would have been impossible to get good landscape pictures. And knowing that such a rain, or astrological progressed aspect, was at hand, you would not attempt it, but would turn your energies into something you could do even while it rained. Now if you will regard the birth chart as a map of yourself, as an accurate map of your aptitudes and of your character, and therefore, of your tendency to attract certain conditions into your life, you will have the right conception of it. Then, if you consider every progressed aspect and position as a definite weather condition—not a general weather condition, but as a weather condition affecting only specific departments of your particular life—you will have as clear a picture of their method of influence as can be obtained. They are, of course, truly astral storms and astral sunshine; but because of the high-velocity properties of the astral world, they affect you in a way they do not affect others, and they affect you only through certain departments of life, and not through other departments. It may be that you have a crop growing in the field, and the government weather bureau sends out a frost warning. You cannot prevent the weather thus turning cold, nor can you prevent a Saturn progressed affliction from having a chill and depressing affect on conditions. Knowing that such conditions are at hand you may be able to do something to save your crop, to insure it, or to mitigate the loss. Then again, you may be so situated that nothing can save this particular crop. Or, speaking of progressed aspects, you may be already in business in such a way that a severe affliction to Saturn in your chart by progression is certain to bring you heavy loss in spite of anything you can do. But because the weather bureau sends out a warning that it is going to freeze, that it is going to rain, that it is going to hail, or that it is going to blow a gale, should cause no person to cringe with fear. Fear gives no help, and paralyzes effort. Every such weather warning, or astrological warning, presents a definite problem. That problem is: What is the very best thing to do under the approaching atmospheric or astral condition? In every such instance there is always a best solution to the problem. Usually Precautionary Actions can be taken to ameliorate the difficulty. But even when nothing can be done to prevent loss, the issue can be met courageously, spiritual values can be gained from it, and the attention can be turned to something else that offers better promise. Because Course IX, Mental Alchemy, goes into the details of counteracting astrological influences through the deliberate use of specifically selected thoughts, I shall here neglect that phase. But entirely aside from thought power to annul the influence of undesirable astrological vibrations, there is always, in any person’s life at any time, somewhat more sunshine in one department than in some other department. That is, no matter how terrific the astrological storm may be, it never strikes all phases of the life with equal intensity. Under a whole group of adverse progressed aspects the sky may not be wholly clear in any region but, resulting from the structure of the birth chart alone, there is sure to be less storm in one section than in other sections. And an analysis of the birth chart and the major-progressed aspects will reveal this least afflicted area, as well as those where the elements rage fiercest. Even when it is possible to do so, I do not advise that you should always avoid the stormy areas. Such departments of your life as are indicated by the houses in which planets are located that make strong progressed aspects are sure to come into prominence under these aspects. If the progressed aspect is favorable, go ahead to the extent warranted by the possibilities of the birth chart. And even if the progressed aspect is somewhat adverse, a careful survey of your birth chart, and a gauge of the probable force of the affliction, may convince you that you can win out in spite of the temporary astrological storm. Or a matter of principle may be involved, causing you to feel that even though you are sure to be severely battered in the encounter, it is better to fight and suffer than to sidestep the issue. The storm warnings which major-progressed aspects give should not serve the purpose of frightening you, or deterring you from undertaking anything possible to accomplish. But they should, and they do, when correctly understood, indicate the times of approaching sunshine or storm, as affecting each section of your life. They give you definite information when you will have difficulties to overcome in each department of life. And by giving you a measure of the help or hindrances you are quite sure to encounter in each line during a given period, they enable you to count the probable cost of victory. By pointing out the cost of victory, and whether it is possible even by paying the price, your major-progressed aspects taken with your birth chart, give you a weather map that serves accurately to guide you as to whether any particular venture is worthwhile. Furthermore, if you decide effort in one field is useless, or that to accomplish some particular thing will cost too much in energy expended, this astro-weather map also indicates to you in what departments, at any given time, there is most sunshine and least storm, and therefore, about what measure of success may be expected from a given amount of effort in each. These major-progressed aspects may come singly, but more often there are several operating. Often at the same time there are storm signals where investment and money matters are concerned there are fair weather signs over the areas devoted to domestic life, over the areas devoted to social activities, or over the areas devoted to building up the health and vitality. When such is the case, insofar as practicable, if you will turn your attention more to these latter departments your gains will be more satisfactory. When several major-progressed aspects are thus present at the same time it is quite possible that each will work out very largely in its own terms. If one is decidedly discordant, some unfortunate event may be attracted bearing the characteristics of these planets and affecting the department of life ruled by one of these planets. And if another major-progressed aspect is quite harmonious, some other event may occur almost at the same time which is decidedly fortunate, bearing the characteristics of its planets and affecting the department of life ruled by one of these planets. Thus an individual may have an accident on a journey at the very time he acquires a large estate through inheritance. In such instances RALLYING FORCES have very little influence. But it is more common than otherwise for the individual to react so strongly in his thinking and feeling to some one of the progressed aspects present, usually the most powerful one, that his nervous system keeps tuned to its frequencies. And the nervous system, through the electrical currents flowing over it is tuned, by the thoughts and emotion to pick up, radio fashion, the type of planetary energy, including its harmony or discord, corresponding to these thoughts and feelings. The nerve currents thus serve as conductors to the terminals of all the aspects. If, as is common, the nervous system through the thoughts and feelings engendered, keeps tuned to the energies of the dominant progressed aspect, these find their way, through the short circuit thus provided by the electrical energies, not only to the thought cells mapped at the terminals of this aspect, but also to the terminals of other aspects, including all the other major-progressed aspects, which are giving energy to the thought cells. And thus the dominant progressed aspect becomes a RALLYING FORCE which influences what happens relative to the departments of life reached by other progressed aspects. While RALLYING FORCES made possible by the feelings and thoughts stimulated by the dominant progressed aspect rather commonly dominate a period, the individual, by persistently cultivating the thoughts and feelings characteristic of some weaker progressed aspect which is also operative, can cause its energies to be the dominant factor of the period. In other words, RALLYING FORCES often can be used to attract the kind of events desired rather than the kind that otherwise would have come into the life. But other than through the short circuit provided by RALLYING FORCES, which is made possible by the thoughts and feelings, the astral weather influences the thought cells, and therefore the life, only in those departments of the life shown by the houses ruled by the aspecting planets. And whether RALLYING FORCES are present or not, the astral weather influences the life only through the avenues characteristic of the planets involved in the aspect. These are the chief avenues through which each of the ten planets affect the life. SUN: Any progressed aspect of the Sun affects the vitality, the significance, and the authority. MOON: Any progressed aspect of the Moon affects the mental attitude, the domestic life, and the everyday affairs. MERCURY: Any progressed aspect of Mercury affects the mental interests, the facility or accuracy of expression, and increases the cerebral activity. VENUS: Any progressed aspect of Venus affects the emotions, the social relations, and the artistic appreciation. MARS: Any progressed aspect of Mars brings strife, haste and increased expenditure of energy. JUPITER: Any progressed aspect of Jupiter affects the individual through abundance, increased optimism, and joviality. SATURN: Any progressed aspect of Saturn brings work, responsibility, and economy or loss. URANUS: Any progressed aspect of Uranus affects through something sudden, through a human agency, and brings change into the life. NEPTUNE: Any progressed aspect of Neptune increases the imagination, increases the sensitivity, and attracts schemes. PLUTO: Any progressed aspect of Pluto affects through groups, through subtle force, and brings coercion or cooperation. If there are storm signals from a certain house, unless sunshine is present from some RALLYING FORCE you may be sure of a storm in that department of life. But that does not signify you cannot receive help, even in this matter, from some other house where there is sunshine. But if you are to get assistance from this other department of your life to help you weather the storm in the one department, that help must come through the other department; it cannot come through the department where the storm is raging. Here is a common example of what I mean: A man runs for some political office at a time when the ruler of his 10th (honor and credit) is afflicted by major progression. Now all the difficulties shown by this aspect will arrive; that is, bad weather will set insofar as his honor is concerned. No matter how bright and shining some other department of life may be by reason of favorable aspects, the storm shown will strike him in the matter of his honor. But if, at the same time, his chart shows a fine sunshiny spell where his 11th house is concerned (his friends), he may look for great help from his friends. Now a friend may lend one an umbrella, a friend may come out in a boat and rescue one from drowning, or a friend may be of various kinds of assistance in a storm or deluge. So while the storm rages, as indicated by the affliction in his house of honor; his friends may be loyal enough, and have ability enough, to rescue him from what otherwise would be a 10th house disaster. And many a man has obtained political office when by progression his 10th was badly afflicted, by at the same time having strong benefic aspects from the house of friends, or from the house of money. These aspects have not been to the ruler of the 10th, but he obtained money enough to buy his way, or his friends were good enough to carry him, through the storm in his 10th. I do not think that any person, no matter whom he may be, can get the utmost out of life without the astro-weather map furnished by his birth chart and major-progressed aspects. If you are discerning, even though you are no expert in astrology, you quickly come to know just about how hard it is, on the average, to make satisfactory progress in each field of your interest. You should have at hand, at all times, a birth chart, with all the major-progressed aspects that are within one degree of completion marked down at the side of it; and the date when each of these major-progressed aspects is completed; or if past, when it was completed. Just bear in mind that each such progressed aspect, at all times while within one degree of perfect, tends either to sunshine or storm in the department of life ruled by each planet. The closer the progressed aspect comes to completion, the more violent the storm, or the more balmy the sunshine, as the case may be. Do not think, however, that the event indicated by this storm or sunshine necessarily will arrive exactly on the date when the progressed aspect is complete. It may do so, of course. That is, you may have enough pressure brought to bear upon you just when the storm rages fiercest that you then go out into it. Or it may be that the sunshine is so alluring when strongest that you are impelled right then to take advantage of it. But, on the other hand, while the aspect is within one degree of perfect, yet not complete, or even past completion, there may be minor-progressed aspects, or even strong transits, that in combination with the influence of physical environment cause you to move into such sunshine or storm as is signified by the heavier progressed aspect. Yet you should get this clear in your mind: that even when you feel no effect of such astro-weather conditions, if the major-progressed aspect is within one degree of perfect, the storm is there, or the sunshine is there, which it indicates. Your not being affected by it is due to your remaining within an appropriate shelter. That is, you have refused to become active within the departments of life affected by the progressed aspect. And right here minor-progressed aspects, and to a less extent transits, come in. For during a storm in a certain department of life, a minor-progressed aspect or even a strong transit aspect may come along from one of the planets involved in the storm. If the minor-progressed aspect or transit aspect is also stormy, it indicates a gust added to the strength of the general storm for a few days, which added violence may precipitate the condition threatened by the storm. But if the minor-progressed aspect or transit aspect is itself sunshiny in nature, it indicates that within the storm there is a glimpse of fine weather. And because of this illusory promise of fair weather you may be lured into the storm. Yet the storm as a whole may be so strong that the little bright spot in it has no power to afford shelter. Thus while a major-progressed aspect affecting a certain department of life is operating strongly, any minor-progressed aspect or transit aspect also directly affecting that department of life is likely to indicate the time of its most pronounced effect. Under such astro-weather conditions, when action becomes necessary, it is better to avoid even the good minor-progressed aspects and transit aspects of the planets causing the more general storm. Instead, action should be taken under whatever indirect shelter can be found in the sunshiny minor-progressed aspects and transit aspects of planets not directly involved in the storm. I have seen people, and so have you, who dash madly to cover if even a gentle spring shower comes up. Just a pleasant breeze is sufficient excuse for them to neglect their daily duties. And there are astrological students who are frightened over any little discord that shows up in the progressed aspects of their chart. Neither of these groups gets very far in life. They lack the very essence of success, which is discretion and courage. Let me implore you not to scan your chart to find something to fear. If a government weather map gives you a nervous chill when it shows a little bad weather ahead, it is better for you not to see such a map. Our desire to know what kind of physical weather will be at hand on a certain day is not so we can run like a whipped cur if we perceive it is to be cloudy. It is so we can go about the necessary duties of life in greater comfort and with greater efficiency than we otherwise could. If it is necessary for us to go to the office, we go in spite of impending rain; but we take along an umbrella or a raincoat to use when we are on the way home. A chart showing there will be a late frost does not prevent us from planting our crop; it just enables us to delay planting until the indicated frost has passed. So, with a map of the major-progressed aspects for your chart before you, try to realize that every discordant progressed aspect signifies stormy weather in the departments of your life it influences; and every harmonious progressed aspect signifies fine, clear weather in the departments of your life it influences. Such weather obtains all the time the aspect is within one degree of perfect, but grows in intensity up to the time the aspect is complete, then gradually diminishes. From this, together with the birth chart, try to form a clear image in your mind just how strong the storms, or the fair conditions, are as affecting each of your affairs. Then, with this information before you, plan your life accordingly. Do not be afraid of storms; getting a little wet may be good for you in the long run. Going out in the wind once in awhile may wake you up. But, at least, know where and when the storms are, and where and when is the clear fine weather. And then adjust your life by the aid of this information. As a trader uses the market quotations to guide his buying and selling, use the knowledge of your major-progressed aspects as the chief guide to all your activities. I am not advising you completely to ignore transits and minor-progressed aspects. Look upon the transits of the slowly moving planets through the houses of your chart, not as storms and spells of brightness, but as seasons that are unusually hot, unusually cold, unusually wet, or unusually windy. The transits of the planets through the houses do not give rise to storms and sunshine governing the departments of life so affected. They give seasons of a certain type, within which the sunshine and storm indicated by progressed aspects take place. As seasons of a particular type they deserve consideration. But the minor-progressed aspects and heavier transit aspects, such as the conjunction of a planet with the degree on the ascendant, or the degree occupied in the birth chart by a planet, are not so general. They are little spells, within the larger storms or fine periods. In themselves they are not strong enough to produce weather of such permanence as to offer great hindrance or great help. 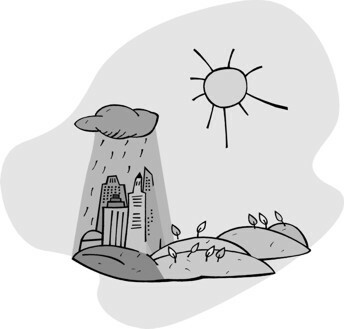 Yet they do indicate the little flurries of rain, the brief gusts of wind, and the other temporary weather conditions that often make for the success or defeat of our day-to-day or week-to-week affairs. You can well afford to watch your heavier minor-progressed aspects, and even some of the heavier transit aspects; for within the more important periods, and when the astral weather is little affected by major-progressed aspects, they give you a map of the days, and the weeks, when the astro-weather will favor or hinder your ventures. In all those little affairs of life over which you have the power to choose whether you will do a thing or not, and when you will do it, you will find that a knowledge of what minor-progressed aspects are operative will make your life far more pleasant and less subject to discomfort and little annoyances. It is not a disaster to plan an outdoor picnic for a certain day, and to awaken on that day to find it raining. Nor is it a matter of grave importance that you go on a visit to relatives just when they have left for other parts, or their children have just been quarantined for scarlet fever. But such things are awkward and annoying. Then again, to go for a social evening with friends to find that they have just had one of their quite infrequent but rather violent family rows, is somewhat disconcerting. Yet for all such small occasions as I have mentioned, and the score of others that readily come to your mind, if you will consult the astro-weather map of your minor-progressed aspects, you will be able to avoid picking the times when irritations are sure to be in the offing. You can quite easily learn to pick fair-weather minor-progressed aspects for all these little ventures. Of course, if you ignore minor-progressed aspects entirely, yet have a thorough knowledge of your map of major-progressed aspects, you will be able to make a success of your life. You will take the proper time for the big things, and direct your chief energies wisely. But if you do not also know your minor-progressed aspects, you will have to fight through a lot of disagreeable trifles that they would enable you completely to avoid. At all times, regard your birth chart as of far more consequence than any other astrological influence. Consider it as a map of your character, your aptitudes, and your peculiar susceptibility to certain types of astral storm or astral sunshine. Next, consider only the major-progressed aspects as of sufficient influence to afford a reliable map to guide you in deciding the really important issues of your life. Yet every major-progressed aspect should be carefully weighed as to its possibilities and probabilities. Gauge the volume of influence, the time when it reaches its maximum, and the departments of life which it may influence, of every major-progressed aspect. But never consider progressed aspects as events in your life. Instead, look upon them only as astro-weather conditions that either favor you or hinder you in specific hopes and endeavors. So, weigh each carefully, to determine how best to act; for while you cannot prevent the weather from being what it is, you can direct your actions under such weather conditions as obtain. Look upon the transit of a heavier planet through a house as a season corresponding in quality to the planet, and as affecting the department of life ruled by that house. Make use of minor-progressed aspects and even of the stronger transit aspects; but especially the minor-progressed aspects of the Sun. Consider them merely as little spells of sunshine or little squalls, within the astro-weather conditions shown by the major-progressed aspects. Keeping in mind that the astro-weather conditions shown by the major-progressed aspects and minor-progressed aspects are the most important influences that bear upon the success of all ventures, when you commence something of importance, take the initiative in any enterprise, or choose a day for some special purpose, also consult the aspectarian in the back of the current ephemeris, and select a time which gives strength and harmony to the planet ruling the particular venture. 1924, entered Syracuse University to study architecture: Mars trine Venus r, Mercury sextile Venus r.
1935, started studying B. of L. lessons: Asc. sextile Uranus p.
1937, started teaching B. of L. lessons: Venus trine Pluto r.
1938, elected president of Newark C. of L. Center: Sun sesquisquare Uranus p.
1940 received state license to practice architecture: Mercury opposition Jupiter r, Venus trine Saturn p.
1943, elected to board of directors of Church of Light, and elected to board of directors of The American Institute of Architecture, N.J. Chapter: Sun inconjunct Pluto r, Mercury sextile Mercury r, Venus sextile Uranus r.
Mercury, which is almost exactly square Neptune, the extrasensory perception planet, turned retrograde two days after his birth, and thus for a number of years progressed Mercury continued square birth-chart Neptune in the house of honor and profession (tenth). Under this influence, by the time he was five, he was known as the Mathematical Quiz Kid, each Sunday evening answering instantly and correctly over the Blue Network radio program, the amazingly complex mathematical problems which were asked of him. Sun closely sextile Pluto, the radio planet, in the house of public expression, indicates the wide audience which for years he enjoyed.